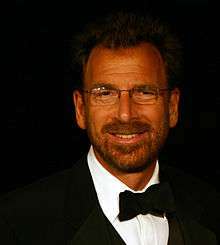 Edgar Miles Bronfman Jr. (born May 16, 1955) is an American businessman who currently serves as a Managing Partner at Accretive LLC, a private equity firm focused on creating and investing in technology companies. He previously served as CEO of Warner Music Group from 2004 to 2011 and as Chairman of Warner Music Group from 2011 to 2012. In May 2011, the sale of WMG was announced; Bronfman would continue as CEO in the transaction. In August 2011, he became Chairman of the company as Stephen Cooper became CEO. Bronfman previously served as CEO of Seagram and vice-chairman of Vivendi Universal. He is the son of Edgar Miles Bronfman and the grandson of Samuel Bronfman, patriarch of one of the wealthiest and most influential Jewish families in Canada. The Bronfman family gained its fortunes through the Seagram Company, an alcohol distilling company, but Edgar Jr. ("Efer" to friends) has gained his reputation by expanding and later divesting ownership of the Seagram Company, as well as for pursuing more creative activities as a Broadway and film producer and songwriter. Edgar Jr. led the family on a series of disastrous business deals, ultimately losing the family's ownership of Seagram. Edgar Jr. is the second of five children of Ann (Loeb) and Edgar Miles Bronfman. His mother was the daughter of John Langeloth Loeb Sr. (a Wall Street investment banker whose company was a predecessor of Shearson Lehman/American Express) and Frances Lehman (a scion of the Lehman Brothers banking firm). They divorced in 1973. He was particularly active in school theatre, an interest his parents supported by donating to construct The Ann and Edgar Bronfman Theatre during a 1967 expansion at The Collegiate School, the prestigious private school in Manhattan which Edgar Jr. attended. Edgar Jr. and his classmates created a documentary film of the school that spawned the Collegiate Film Festival, an event that gained positive press in The Los Angeles Times and The Village Voice. In the summer before his junior year in high school, Bronfman went to London to work on a feature film, arranged partly through his father's connections at MGM. He produced "The Blockhouse" starring Peter Sellers at only 17 years of age. He later went on to produce titles such as "The Border" starring Jack Nicholson and Harvey Keitel before retiring to the family business. Bronfman proceeded to a brief career in entertainment in the 1970s as a film and Broadway producer. The summer before his final year of high school, in 1972, he was a credited producer on the film, The Blockhouse. Despite his inexperience, Bronfman's involvement was accepted because of his connections and access to financing through his family's wealth. In return, he learned many of the tricks of the trade by watching his more experienced peers. In 1973, Bronfman began a songwriting career under the pseudonyms Junior Miles and Sam Roman. He often collaborated with Bruce Roberts on songs like "Whisper in the Dark", which he gave to Dionne Warwick to record in thanks for introducing him to his first wife, Sherry. His Efer Productions company was signed by Universal Studios in 1977 to a three-year movie production contract. He produced the unsuccessful film The Border, which starred Jack Nicholson. In 1982, Bronfman returned to the Seagram Company, spending three months learning the ropes before moving to London to become managing director of Seagram Europe. In 1984, Bronfman returned to New York as President of the House of Seagram, the company's U.S. marketing division. By 1994 he became the Chief Executive Officer, where he began a move away from the traditional liquor business and into entertainment. The first step in this diversification was the widely criticized sale of Seagram's stake in DuPont. In 1981, Edgar Bronfman Sr. had sold Seagram's stake in Conoco to DuPont, in exchange for almost 25% of the chemical giant. This stake in DuPont, by 1995, represented about 70% of Seagram's total earnings. Nevertheless, Bronfman Jr., acting as Seagram's CEO, approached DuPont about buying back its shares, a deal that DuPont wasted no time in closing. With the proceeds of the $9 billion sale, Bronfman Jr. went on an expansion into the entertainment business, in music through the acquisition of Polygram, and in film entertainment through MCA and Universal Pictures. However, the new entertainment conglomerate he created had a brief life, before needing a strategic partner. Bronfman, Jr., then led Seagram into a controversial all-stock acquisition by French conglomerate Vivendi in 2000. Bronfman, Jr., became chief of the new company, Vivendi Universal, but the Seagram company effectively lost control of its entertainment businesses. Meanwhile, the beverage division—the core of Seagram's business—was acquired by Pernod Ricard and Diageo. Seagram's for all intents and purposes ceased to exist. In December 2001, Bronfman announced he was stepping down from an executive capacity at Vivendi Universal, but remaining as vice chair of the board. In 2002, Bronfman joined private investment firm Accretive LLC as General Partner. The firm focuses on conducting deep market research and hand-selecting firms to back. Among its past projects are Accretive Health and Fandango (ticket service). Companies it currently backs include human resources firm AlphaStaff and small-business insurance company insureon. On February 27, 2004, Bronfman finalized the acquisition of Warner Music Group and he has served as Chairman and CEO of the music company since that time. Bronfman has helped to transform WMG by rapidly growing the company's digital music sales, redefining the relationships it has with artists and diversifying its revenue streams through its expansion into growing areas of the music business. WMG held an initial public offering of stock in 2005 (NYSE: WMG), and is now the only standalone major music company to be publicly traded. While the stock has fallen from a high in 2005 of over $30 per share, the company has nonetheless produced double-digit growth in its digital business, increased its market share and delivered stable revenue performance despite a drastic music industry decline during the same period. In 2008, The New York Times reported that WMG's Atlantic Records became the first major record label to generate more than half of its music sales in the U.S. from digital products. In May, 2011, WMG and Bronfman announced the company's sale to Access Industries for US$3.3 billion cash. Access is controlled by Russian-born billionaire Len Blavatnik, a former board member and still-substantial shareholder of WMG at the time of the purchase announcement. The sale, coming after a three-month bidding process, "serves the best interests of stockholders as well as the best interests of music fans, our recording artists and songwriters, and the wonderful people of this company," according to a statement released by Bronfman. CEO Bronfman would continue in his post in the transaction, though further job cuts were also foreseen. The investment group which has owned the company since 2004 was said to have received a positive return on its investment. In August 2011, Bronfman became Chairman of Warner Music and Stephen Cooper became CEO. He stepped down as Chairman on January 31, 2012. Bronfman has continued to dabble in songwriting and penned the hit song "To Love You More", which was recorded by Celine Dion, and Barbra Streisand's "If I Didn't Love You". He also currently chairs the Board of Directors of Endeavor, an international non-profit development organization that finds and supports high-impact entrepreneurs in emerging markets. Benjamin (born 1982) – Bronfman's eldest son with Sherry is also known as "Ben Brewer", a rock musician. Brewer was the guitar player and vocalist for the New York-based alternative rock band The Exit. He also was engaged to Mathangi "Maya" Arulpragasam, a British recording artist, songwriter, painter and director of Sri Lankan Tamil descent, better known under the stage name of M.I.A. Her compositions combine elements of electronica, dance, alternative, hip hop and world music. They have a son, Ikhyd Edgar Arular Bronfman, born on 11 February 2009. Hannah (born 1988) – Actress and DJ. Hannah is probably best known for Beautified, an App for setting last-minute beauty appointments. In 1993, Bronfman married Clarisa Alcock San Román, the daughter of Frank Alcock Pérez-Matos, a Venezuelan oil executive of half British descent and a Venezuelan mother, Dinorah San Román Strup. They have four children: Aaron, Bettina, Erik, and Clarissa. On January 21, 2011, Bronfman was found guilty in French court of insider trading and received a 15-month suspended sentence and a €5m fine. Considering the jail sentences handed out to other executives for similar convictions, BNN reporter Michael Kane told CTV News "The fact that the judge suspended the jail time could be looked at as getting off lightly, perhaps." He has appealed the decision. At the height of file sharing service Napster's popularity, Bronfman was a leading opponent of the illegal use of peer-to-peer technology. As CEO of Universal, he helped lead the music industry's opposition to Napster, likening it to slavery and Soviet communism. As Chairman and CEO of WMG, Bronfman has championed the use of digital innovation and is recognized as a leader in the industry's gradual but growing embrace of social media, including its work with Cisco to develop a social networking strategy of its own as well as investments and partnerships with digital music services such as Spotify, imeem, MySpace Music, Lala and we7. In 2006, WMG was the first major media company to create a business model around user-generated content and, more recently, has been pushing for ways to monetize the popularity of P2P networks on college campuses. In late 2006 in an interview with Reuters, Bronfman caused a stir by admitting that his children have copyright infringing music. He claims to have delivered punishment for this but wants it to remain within the realm of the family. We used to fool ourselves ... We used to think our content was perfect just exactly as it was. We expected our business would remain blissfully unaffected even as the world of interactivity, constant connection and file sharing was exploding. And of course we were wrong. How were we wrong? By standing still or moving at a glacial pace, we inadvertently went to war with consumers by denying them what they wanted and could otherwise find and as a result of course, consumers won. In 2010 Bronfman changed his philosophy on the music industry's online business models, stating that he does not support free advertising supported models. He said that WMG will focus on promoting services that require payment, that will appeal to the population that already pays for downloads in stores such as iTunes. The 'get all your music you want for free, and then maybe with a few bells and whistles we can move you to a premium price' strategy is not the kind of approach to business that we will be supporting in the future. 1 2 Warner Music CEO Edgar Bronfman Jr. and Chairman Stephen Cooper Switch Jobs | Billboard. Billboard.biz (2011-08-19). Retrieved on 2013-12-23. ↑ "Ann L. Bronfman: Obituary". Legacy.com. The New York Times. April 10, 2011. Retrieved 24 December 2013. ↑ "Edgar Bronfman Jr." Retrieved 2013-07-25. ↑ "Our Companies | Accretive LLC" Retrieved 2013-07-25. ↑ Fitzgerald, Michael. , Fast Company, "How Warner Music and Its Musicians Are Combating Declining Album Sales", 1, July 2010. ↑ Cox, Rob. "Warner Music Is Singing Again", The New York Times, 24 May 2009. ↑ Arango, Tim. "Digital Sales Surpass CDs at Atlantic", The New York Times, 25 November 2008. ↑ Smith, Ethan, "Deal Values Warner Music at $3.3 Billion", Wall Street Journal, May 6, 2011. Retrieved 2011-05-06. ↑ "Warner Music Group being sold for $1.3 billion to Access Industries amid industry decline", Associated Press via Washington Post, May 6, 1:38 PM EDT. Retrieved 2011-05-06. ↑ Updated: Edgar Bronfman Jr. to Step Down as Warner Music Group Chairman, No Successor Named | Billboard. Billboard.biz (2012-01-31). Retrieved on 2013-12-23. ↑ Video: Edgar Bronfman Jr. Says Warner Music Will Fight Universal-EMI Merger 'Tooth and Nail' | Billboard. Billboard.biz (2012-02-01). Retrieved on 2013-12-23. ↑ "Seagram chairman admits he never approved of son's marriage to a Black woman", Jet, 23 March 1998. ↑ Auletta, Ken. "Rising Son", The New Yorker, 6 June 1994. ↑ "'Beautified': The App that Lets You Book Last-Minute Beauty Appointments". Time. 2013-05-22. Retrieved Sep 11, 2013. ↑ "Ex-Vivendi executives found guilty". Financial Times. Retrieved 2011-01-21. ↑ Bronfman Jr. convicted in Vivendi trial | CTV News. Ctv.ca (2011-01-21). Retrieved on 2013-12-23. ↑ Warner Music Group | News. Wmg.com. Retrieved on 2013-12-23. ↑ Charles C. Mann (2000-09-01). "The Heavenly Jukebox". The Atlantic Monthly. ↑ "Will The Recording Industry Sue Edgar Bronfman For Downloading?". TechDirt. 4 December 2006. ↑ Adam Reuters (1 December 2006). "Interview: Warner Music Group boss Edgar Bronfman". Reuters. ↑ Duncan Riley (14 November 2007). "Warner Music Boss: We Were Wrong". techcrunch. ↑ Ian Youngs (10 February 2010). "Warner retreats from free music streaming". BBC.